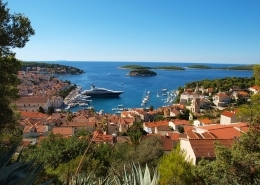 Exploring the Croatia, you can see the influence of Romans, Greeks, Venetians, Illyrians, Hungarians and get the extensive knowledge of history in this area. You know when the UNESCO has marked seven places in Croatia as World Heritage Sites that Croatia has a great culture and it is the country worth seeing. 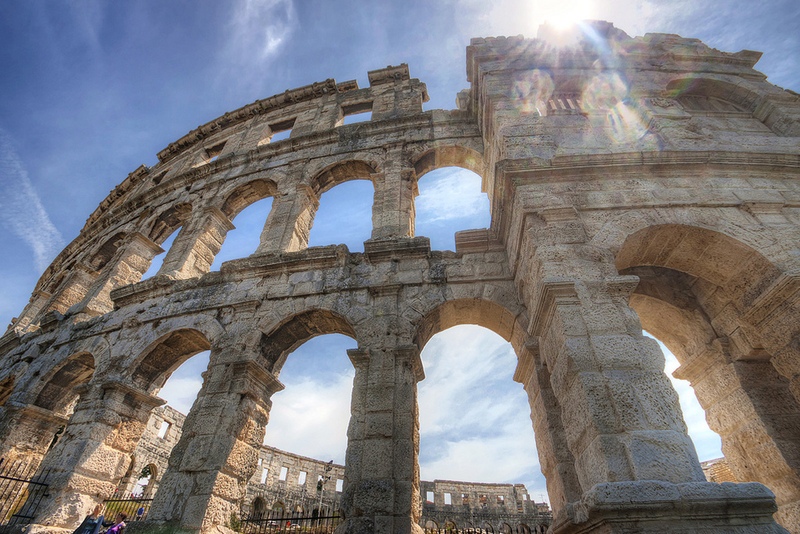 The Pula Amphitheater is the sixth largest surviving Roman amphitheater. It is one of the must-see places worth seeing when visiting the Istria. You can go inside, take a seat and imagine the scene that there was for more than 2000 years ago. 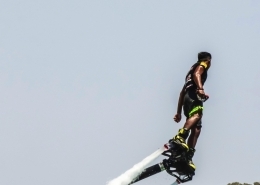 It was designed to host gladiatorial contests but now it’s Istria’s main tourist attraction. 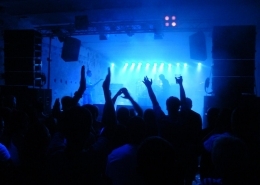 Still serves the mass entertainment needs of the local populace in the shape of various concerts, opera, ballet, sports competitions. During the summer months, you can see gladiator fights as part of the historical and entertainment spectacle “Spectacvla Antiqva”. 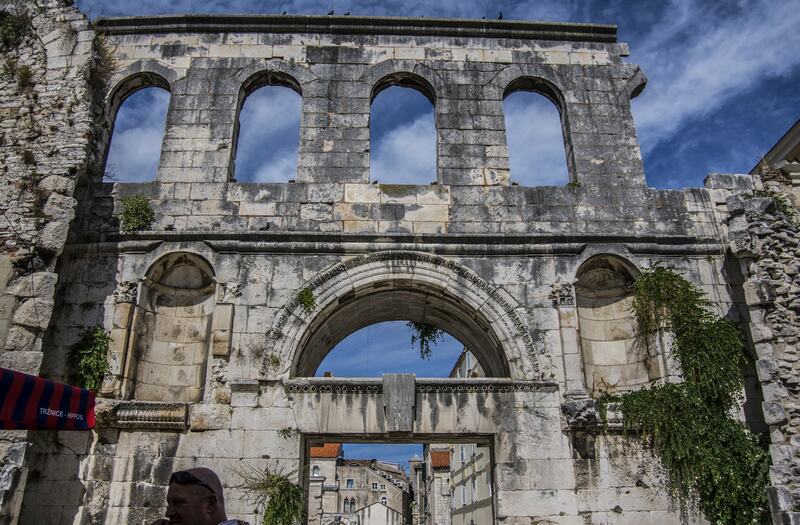 Placed in Split, Dioklecians palace is one of the best-preserved monument of Romans architecture in the world. It was listed on the UNESCO World Heritage List in 1979. The palace itself contains many attractions and one of the most impressive is the Cathedral of St. Duje, which is actually built as the mausoleum of the famous Emperor. 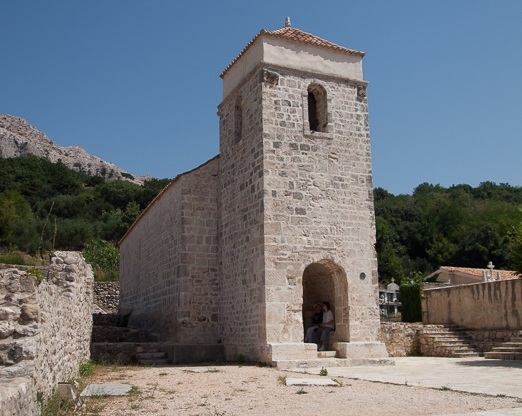 There is also the corresponding bell tower which dates back to the 13th century and is considered to be the most prominent Dalmatian medieval building. Even today, the people still live in the palace, and this is something that fascinates every tourist who walks in the narrow streets that are here for more than 1700 years. 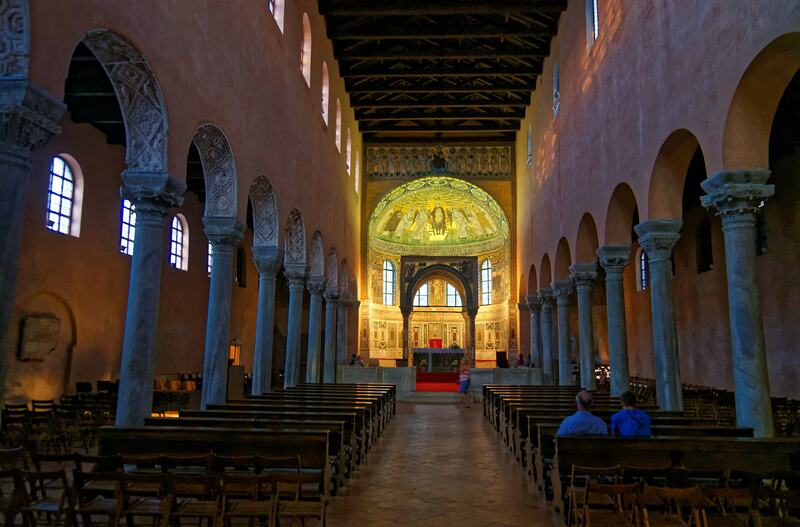 Walking through the city of Poreč you will find the majestic Euphrasian Basilica which represents the cultural good for the city of Poreč. In 1997, it was inscribed on the UNESCO World Heritage List. And even today, you can see main features of the basilica, wonderful mosaics dating from the 6th century. With magnificent underfloor mosaics and preserved inscriptions, it is possible to monitor all stages of construction, adaptation, and renovation. We recommend you to climb up to the bell tower for a look at the bells as well as worth seeing a landscape. 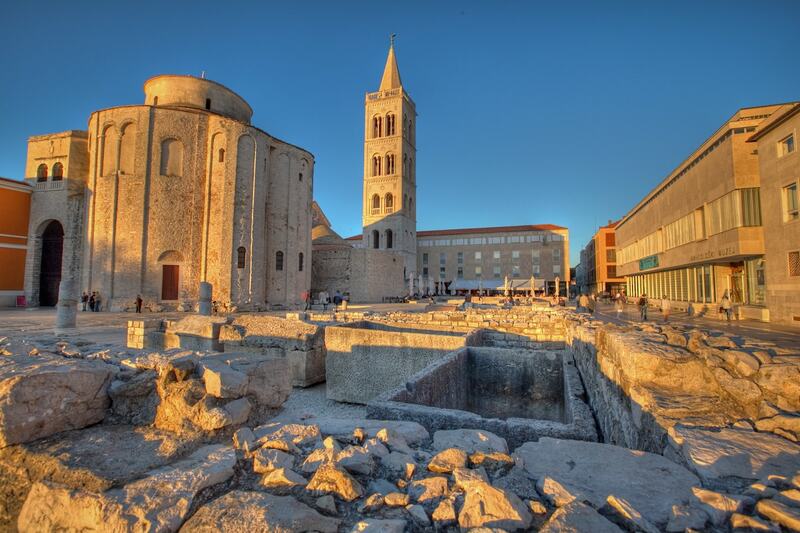 If you are visiting Zadar, then you can’t miss the church of Saint Donatus. Church of St. Donatus today is a recognizable symbol of the city of Zadar and an unavoidable stop for all visitors. Dating from the beginning of the 9th century, this oddly circular church, built in Byzantine style, owes its name to the bishop who has given it to build it. Because of its cylindrical shape, this building belongs to the most famous and most significant European pre-Romanesque churches. Today, for its exceptionally good acoustics, the church is using for performances of various music programs, and the most famous of them is the ‘Musical Evenings in St. Donatus’. 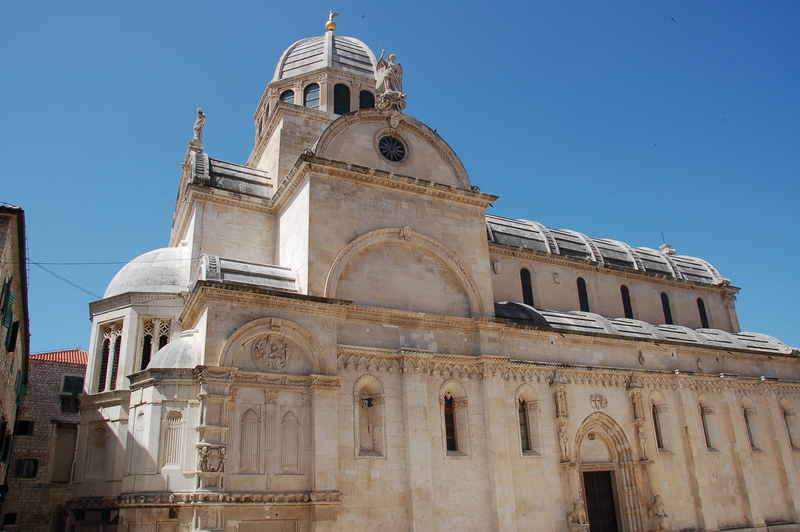 We recommend you to see the cathedral of St. James in Šibenik. It is certainly one of the most beautiful and significant architectural and religious objects in Croatia. Cathedral St. James stands out for a piece of Dalmatian art, as a collection of 72 sculptures of the heads of different people in the apses, it is a unique example of Renaissance realism. You can see the faces of men, women, children, and maids. 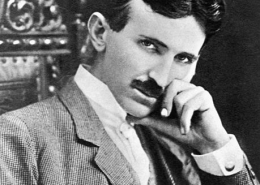 It is assumed that many of them were a famous people of that time. Despite the fact that many masters have changed during the construction of the Cathedral is a very harmonious building, because it was built exclusively of stone. While you are visiting Croatia, you must see the majestic city Dubrovnik. 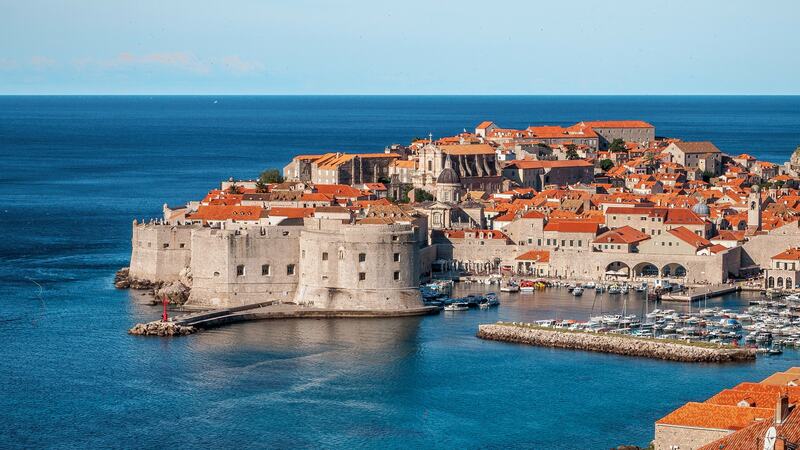 Walk down by the walls of Dubrovnik and see where is filmed the famous HBO series Game of Thrones. In 1979, the old city of Dubrovnik, which includes a significant part of the old walls of Dubrovnik, joined the UNESCO list of World Heritage Sites. You can choose to climb the walls in three places. When you are heading on the street Stradun, on the left from the direction of Pila. The second way is from the west side of the entrance to the old town at the fortress of St. John. Third and the last way you can climb the walls at the fortress of St. Luke on the east side of the entrance to the city. Do you know that the TripAdvisor placed Walls of Dubrovnik based on a review of millions of travelers in a list of ten monuments to be visited before deaths? After you see the main square take a walk to the Gornji grad, you will find a beautiful St. Mark’s Church, one of the oldest architectural monument in Zagreb. It is located on St.Mark’s Square and recognizable by its spectacular colorful tiled roof. It is now protected as a cultural heritage by the Republic of Croatia. 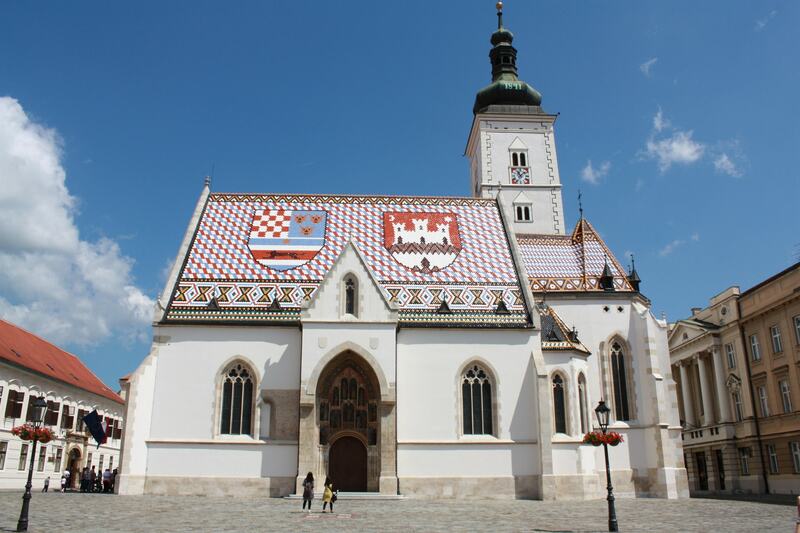 The spectrum of colors displayed on the roof beautifully depicts the coats-of-arms of the Kingdom of Croatia, Dalmatia, and Slavonia on the left and the emblem of Zagreb city on the right. Unfortunately, the creator of the coat of arms is not known. While you are visiting the island of Krk, it would be a real shame if you don’t seek the Baška tablet. Located in Jurandvor, it represents the most significant monument of Croatian culture. Although the monument is impressive, it’s also very old and its size is enormous: 2x1m, 800kg. The original tablet is kept at the Croatian Academy of Sciences and Arts in Zagreb, while a copy remains at the Church of St. Lucy in Jurandvor. The oldest known document (from about 1100) in which is the first mention of the ruler’s name in the national language, and even more, in the Croatian Glagolitic script called Glagoljica. One of the most beautiful castles in Croatia is hidden in a region called Hrvatsko Zagorje and dates back to the 13th century. The castle has four levels: low and high ground floor, first and second floor. The objects in the castle originate from the period from the 15th to the 19th centuries. Beautifully arranged in individual rooms represent the life of the nobility of Croatia through the history of the place Trakošćan and famous Drašković family. 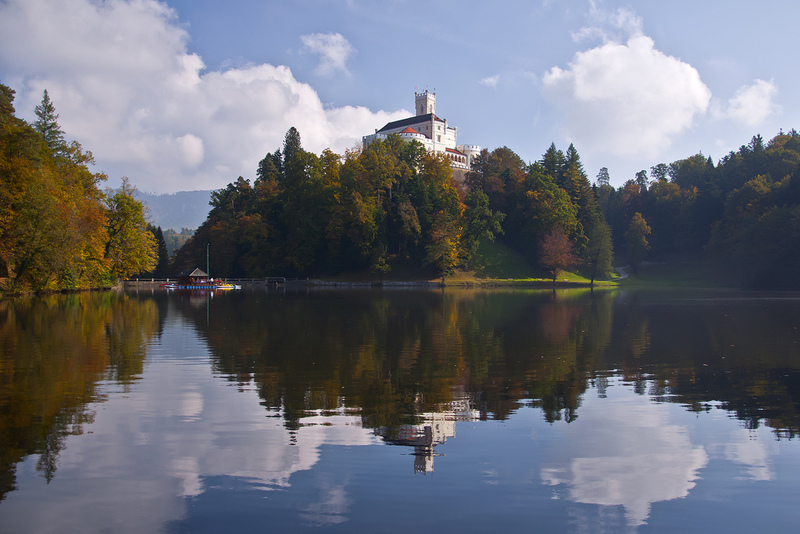 From the beautiful castle, there is a stunning view, and all around the castle are the magical lake and woods. Interior has been preserved just like hundreds of years ago. Well decorated with original furniture, so you can feel the taste of history. The beautiful city of Trogir is placed near the Šibenik, and its beauty lies in the sculptural art of stone. Walking along the streets of Trogir is like a trip to the past, you can see the influence of the Greeks, the Romans, and the Venetians. Its historical core formed back in the period of 13th to the 15th centuries. 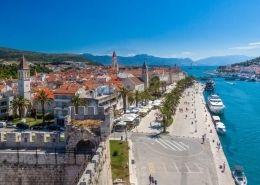 The town of Trogir lies on an island between the mainland and the island of Čiovo. 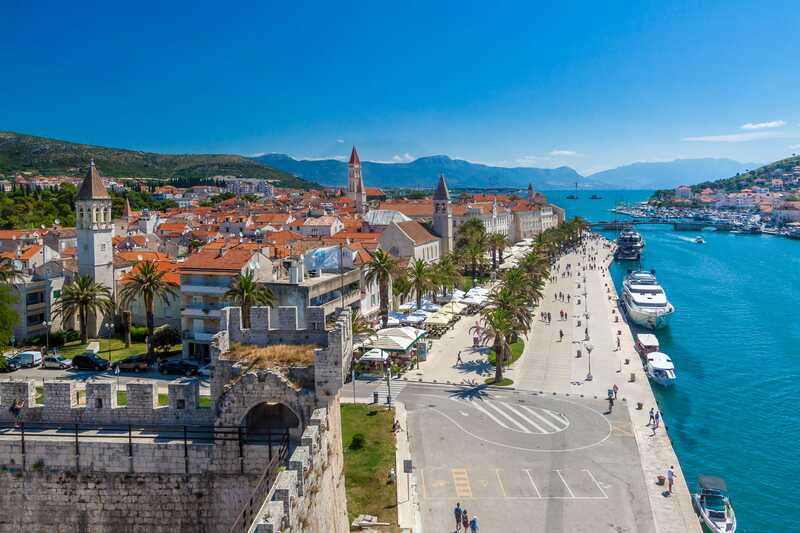 Because of its beauty and value, UNESCO included the old city center of Trogir into a World Heritage List. In exploring the town, don’t miss the stunning Cathedral of St. Lovro with a portal to the west it represents the great Radovan’s masterpiece.